Hike and Brew Tour | Wild Wolf Tours - Ketchikan, Alaska! 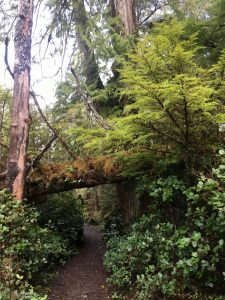 Take a nature hike among giant cedar trees and moss blanketed forest to scenic beach area. Local guide will lead you along lush rainforest trail and explain about the flora that surrounds you. 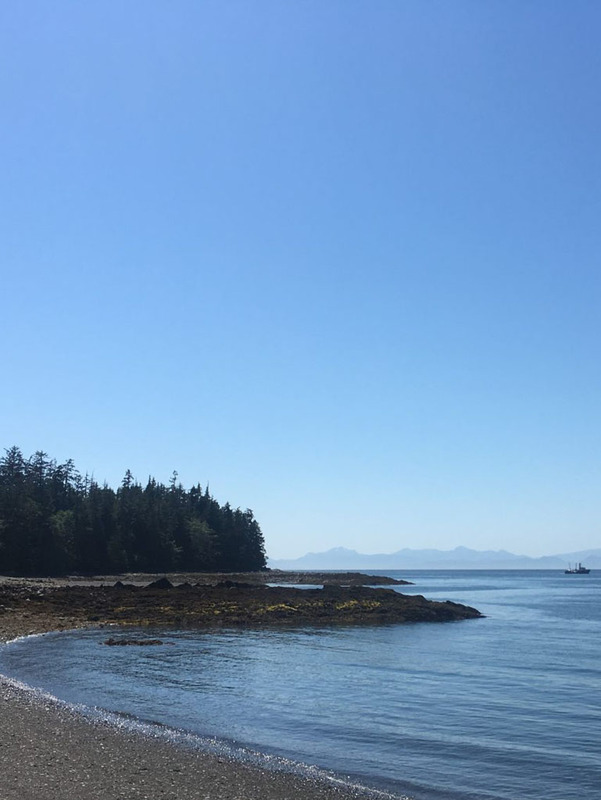 Get off the beaten path and explore Southeast Alaska’s natural beauty on this remote trail to the stunning Pacific Ocean. 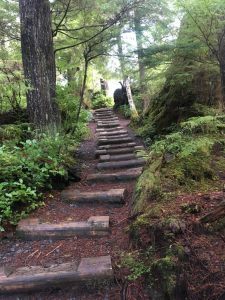 During the coastal drive to trailhead guide will share interesting stories about Ketchikan’s lore, culture and history, The walk is about 1.8 miles total and there are some stairs and uphill / downhill portions of the trail. Bottled water will be provided for the trail portion of tour. This is a small group excursion of 10 guests or less, so you get a quality personal experience. 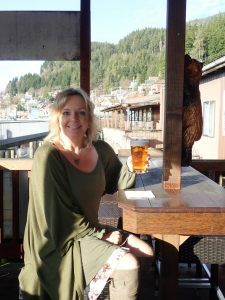 After our walk we will drive back to town where you will have the opportunity to enjoy a local Brew (either a Draft Beer or Cup of Coffee) and snack of smoked salmon dip with crackers at Ketchikan’s oldest bar still operating. Enjoying a drink at a classic Alaskan Bar with tons of character is great way to relax and reward yourself after the hike. There is a nice outdoor covered deck area right over the water. Children are allowed with parents or guardians and we can substitute hot cocoa or soda for the drink. Must be 21 for alcoholic drink and establishment will ask for ID. This tour ends at the Arctic Bar which is within easy walking distance back to the ships. Price: $89 per adult and $59 per child (12 and under). This tour lasts 2.5 hours.